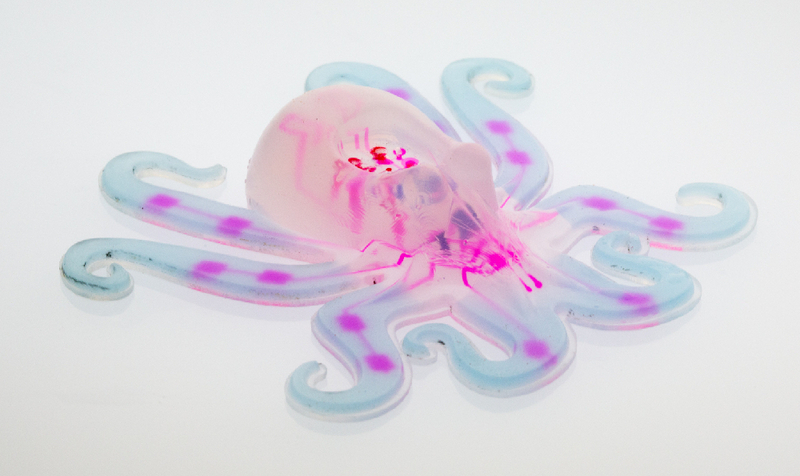 A team of Harvard University researchers with expertise in 3D printing, mechanical engineering, and microfluidics has demonstrated the first autonomous, untethered, entirely soft robot. 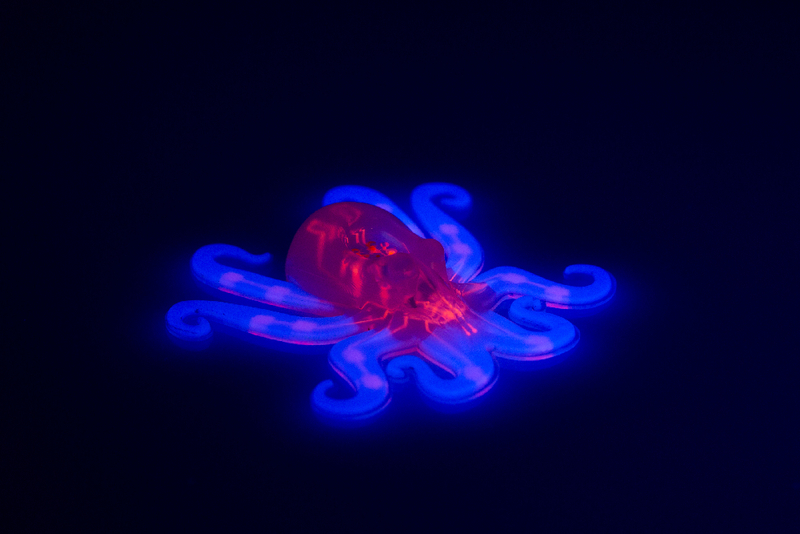 This small, 3D-printed robot — nicknamed the octobot — could pave the way for a new generation of completely soft, autonomous machines. Soft robotics could revolutionize how humans interact with machines. But researchers have struggled to build entirely compliant robots. Electric power and control systems — such as batteries and circuit boards — are rigid and until now soft-bodied robots have been either tethered to an off-board system or rigged with hard components. To control the reaction, the team used a microfluidic logic circuit based on pioneering work by co-author and chemist George Whitesides, the Woodford L. and Ann A. Flowers University Professor and core faculty member of the Wyss. The circuit, a soft analog of a simple electronic oscillator, controls when hydrogen peroxide decomposes to gas in the octobot. “The entire system is simple to fabricate, by combining three fabrication methods — soft lithography, molding and 3D printing — we can quickly manufacture these devices,” said Ryan Truby, a graduate student in the Lewis lab and co-first author of the paper. The paper was co-authored by Daniel Fitzgerald of the Wyss Institute and Bobak Mosadegh, of Cornell University. The research was supported by the National Science Foundation through the Materials Research Science and Engineering Center at Harvard and by the Wyss Institute. Visit the new Harvard Robotics website to learn more about robotics at Harvard.